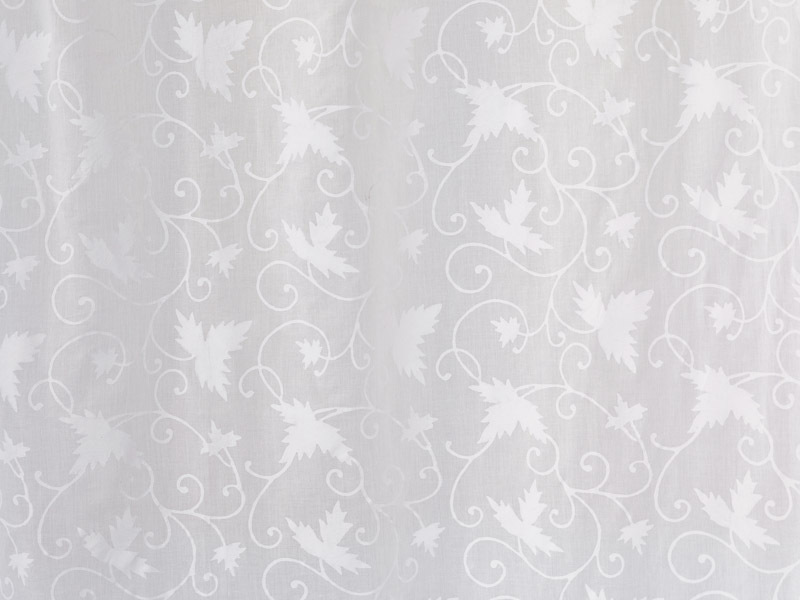 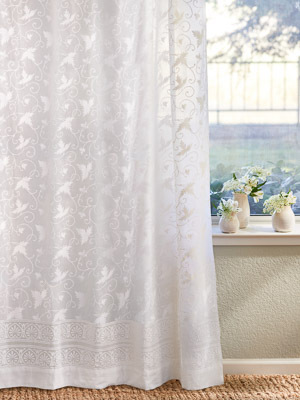 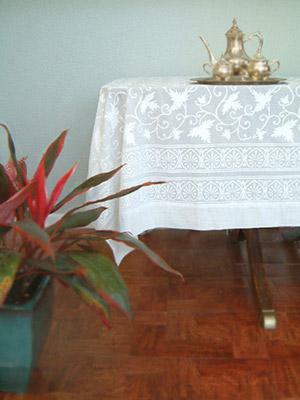 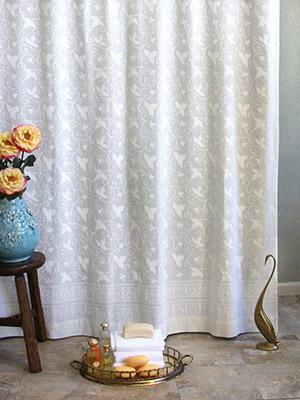 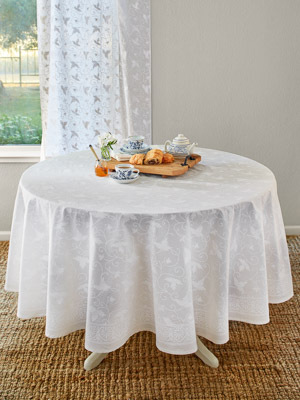 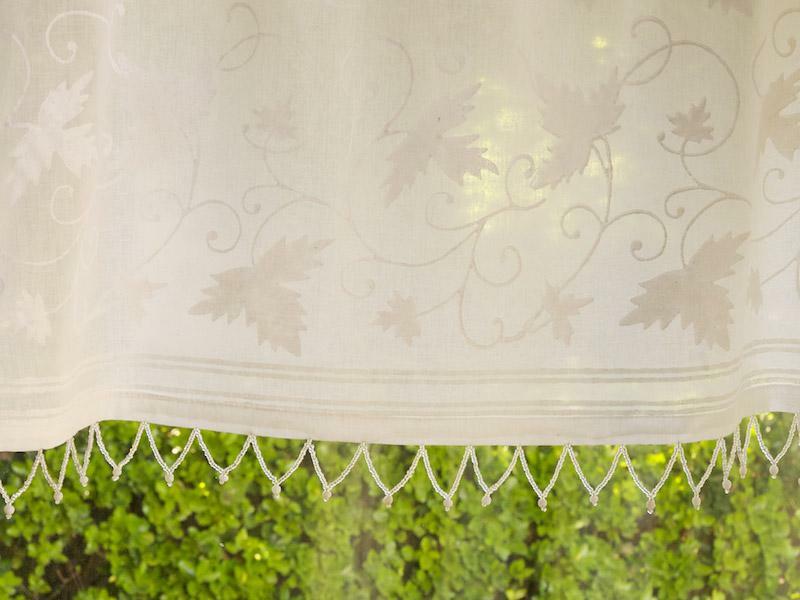 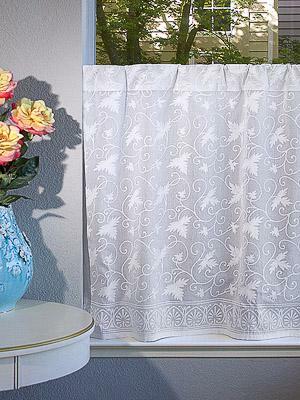 Capture the romance and elegance of a bygone era with Ivy white valances, used alone, or with coordinating drapes. 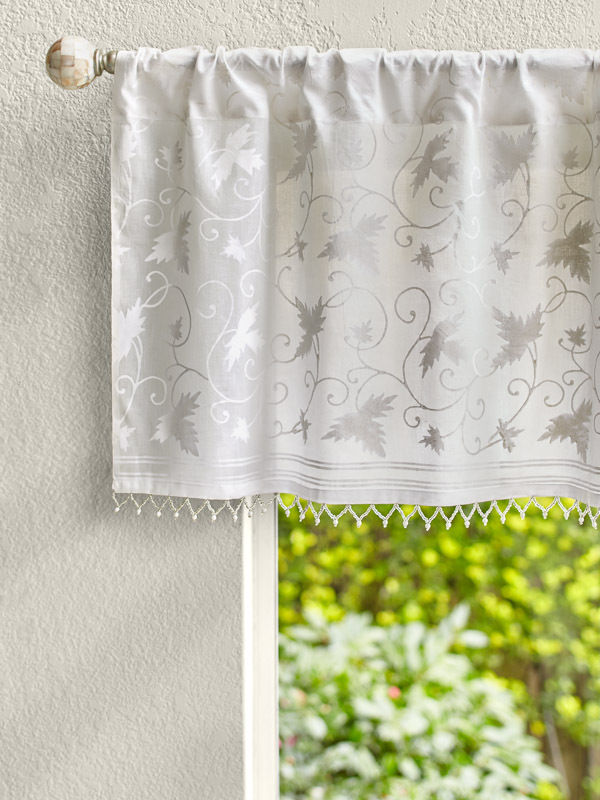 Hang them off curtain rods and finials with pearl accents, against ... [ read more ] walls painted in soft dove grey or taupe in an eggshell finish. 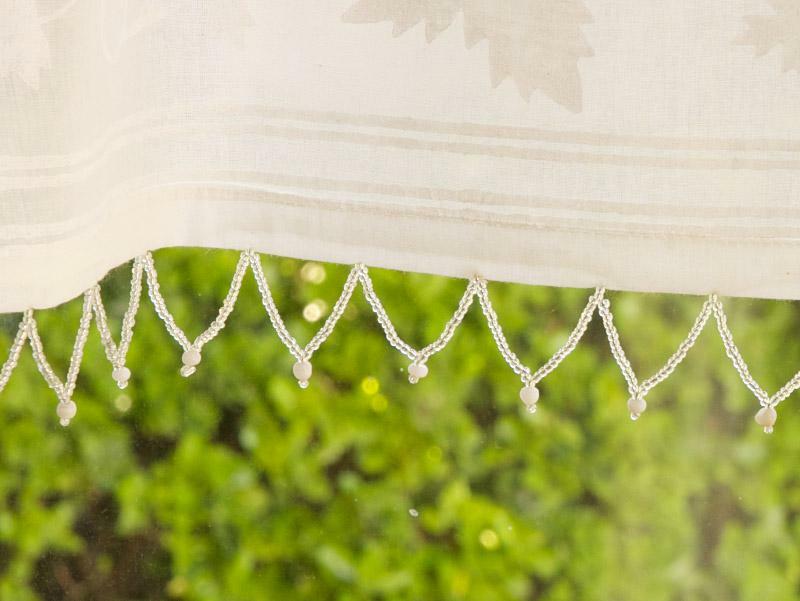 Ivory silk tassels and iridescent glass mosaics on walls, mirror frames and tables will bring out the best of Ivy Lace.